Area : 141 sq km meters. Altitude : 1372 meters above the sea level. Temperature : Max 26.8° C & Min 17.4° C. In Summer. Max 21.2° C & Min 10.2° C. In Winter. Best Season : October to May. 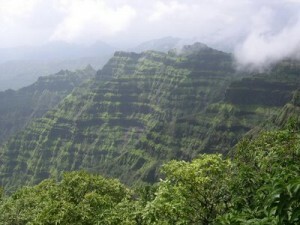 Mahabaleshwar is the highest hill resort in the Western Ghats. Its scenic beauty and miles of enchanting walks make it a popular summer retreat. Rail: The nearest railhead is Satara 47 km but the convenient railhead is Pune 120 km from Mahabaleshwar. Road: Mahabaleshwar is connected by road to Pune 120 km, Lonavala 184 km & Mumbai 247 km. This entry was posted in Mahabaleshwar, Maharashtra and tagged mahabaleshwar india, Mahabaleshwar Route, Map Of Mahabaleshwar. Bookmark the permalink.